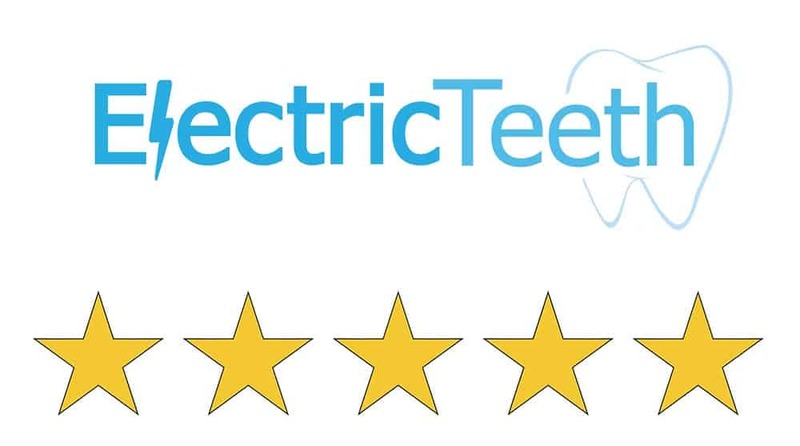 In this review I am testing and giving my feedback on the Oral-B Teen electric toothbrush. There is nothing that makes this specifically suitable for teenagers. I do believe it is the design on the handle and inclusion of the Ortho brush head that make it more appealing to this demographic. Whilst Oral-B do not exactly promote this, it is for all intents and purpose identical to the more premium Smart 4 4000, but comes in at a much more attractive price. More detail on this later. If you are short of time, the answers to the following 3 questions should let you know all you need to about the Oral-B Teen. If I have missed something, let me know in the comments. If you want more detail, you can read the full Oral-B Teen review further down the page. 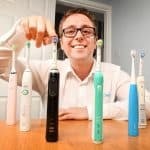 At the time of review, this is the the best value Bluetooth enabled toothbrushes available today, all brands considered. Whilst it has elements that appeal to teens, there is nothing that stops adults taking advantage of the value it offers. A little extra box contents would have been nice, but I’m splitting hairs. 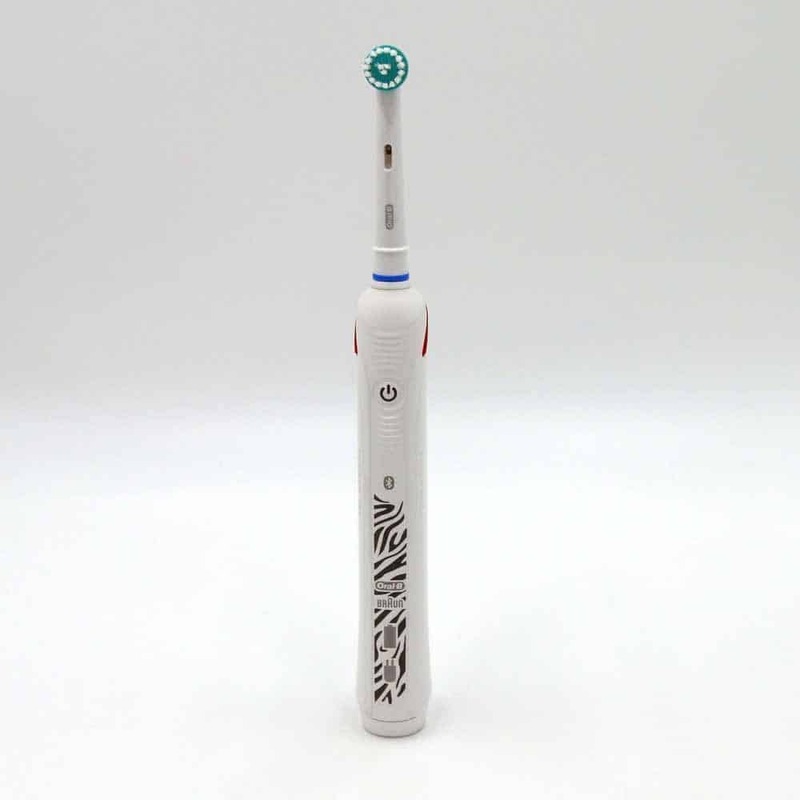 If you desire a Bluetooth enabled brush, then it has to be the Oral-B Smart 5 5000. The box contents is a bit better, but you will pay a premium for this brush. Rather something a little simpler without all the smart technology? The Oral-B Pro 2 2500 is a fantastic option. There are only 2 cleaning modes available on this brush and just 1 brush head in the box, but you do gain a travel case. This is the brush we currently recommend as the best electric toothbrush to buy, all things considered. Below are the Amazon links to the Oral-B Teen and the two brushes we would consider alongside it. 3. Where is the best place to buy the Oral-B Smart Teen? Most of the leading supermarkets as well as large pharmaceuticals retailers stock Oral-B electric toothbrushes, this ‘Teen’ variant is no exception. Price and availability is an ever changing metric, so it is difficult to say that there is one best place to buy from. Amazon and Boots tend to be a little more consistent in their pricing from what we have seen. Be sure to shop around, but you are most likely to obtain the best price and availability online. Check the list below to see which retailers are currently stocking the Teen, and the price they are offering. You could also check out eBay. We strive to create honest, informative content, telling you the facts good or bad. We are not sponsored by big brands or healthcare companies. We are not trying to sell you anything. Our site is funded by affiliate revenue and ads, but we only recommend products that we have tested and truly believe to be worth your money. Why not watch this short video to learn a little more about us? The Oral-B Teen, as the name implies has been designed with those aged about 12-18 in mind. 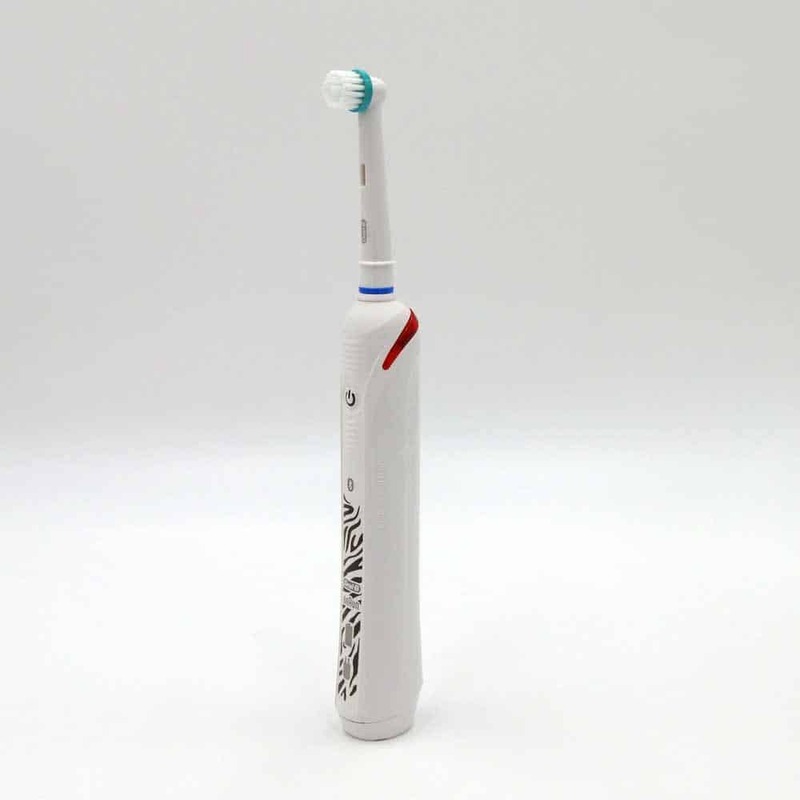 Whilst there is nothing specific about this brush that makes it exclusive to teenagers, it is the design on the brush handle grip and the inclusion of the Ortho brush head that make it a little more fitting and appealing to this age group. Perhaps a little generalised to assume that teenagers will need an Ortho style brush head, but to be fair statistics confirm that it is this age group that are most likely to need and want the brush head specifically designed for cleaning of orthodontic appliances (braces). Depending on where and when you buy this brush, there are a couple of variants. Technically the brushes are the same. At the time of review, the only difference is the colour and the pattern on the brush handle. 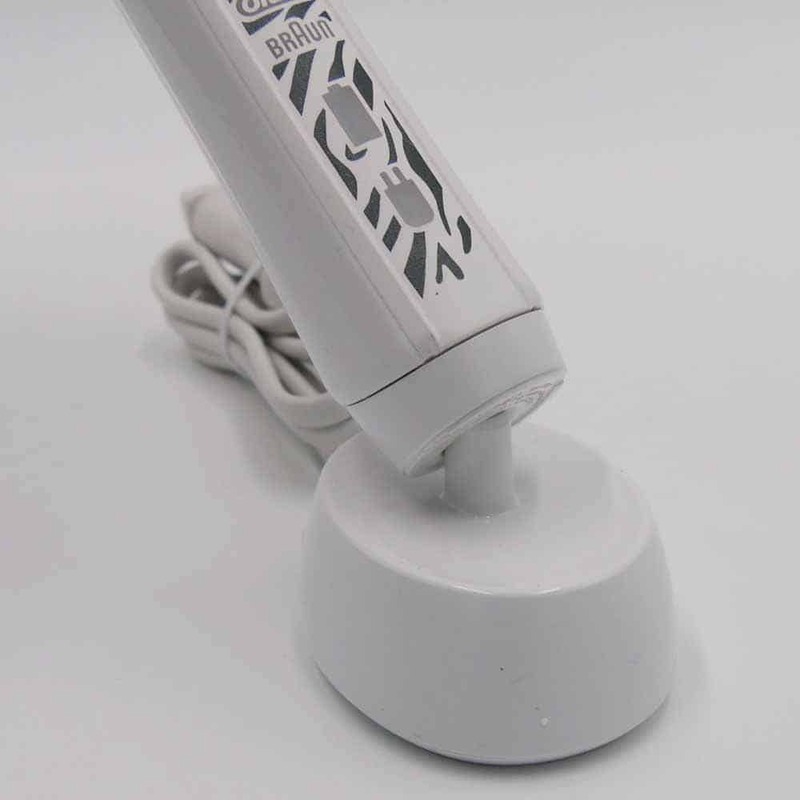 White – All white coloured brush handle and grip. Black ‘Zebra like’ pattern on rubber grip. Black – White plastic body, with black rubber grip. Silver/grey ‘tribal like’ pattern on the rubber grip. It is the white option that is more widely available. You may see some retailers or references to the name Oral-B Smart Teen. This is (in most cases) the same toothbrush. The word smart is often included because the brush has smart features, notably the Bluetooth connectivity. Whilst things are always subject to change, at the time of review, these 2 brushes are essentially identical. In fact technically (brush motor, battery, cleaning modes etc) they are. The only differences are the design and the box contents as listed below. The Oral-B Teen comes with 1 x Sensi UltraThin and 1 x Ortho brush head. The Smart 4 4000 comes with 2 x CrossAction brush heads. The Smart 4 4000 has an all white coloured brush handle, whereas the Teen comes in 2 colour options. The Smart 4 4000 comes with a brush head stand that clips around the charging stand and holds 2 brush heads upright. The Teen has a £79.99 RRP compared to the £129.99 of the Smart 4. Both sell for approximately £35-40 and £60 respectively. You can read our Smart 4 4000 review if you want more detail on that particular brush. Here are what I consider to be the pros and cons of the Oral-B Teen. Design – A slim profiled brush that looks and feels good in the hand with a nice design flare. Battery life – A solid 2+ weeks between charges. Cleaning modes – Additional choice of modes over the standard Daily Clean. The more gentle sensitive mode in particular is useful. 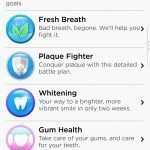 Timer & pacer – Help encourage brushing for the right amount of time. 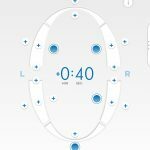 Bluetooth connectivity – Monitor, track and improve your cleaning in conjunction with smartphone app. Price – Great value option. Box Contents – A travel case and a smartphone stand would be welcome extras. Controlling the cleaning modes – It is not easy to tell which cleaning mode is selected. Can’t change the cleaning mode until the brush is powered on. Battery status – The battery lacks detailed feedback on the remaining power available. Packaging is designed to catch our eye and it is clear when you compare this to other Oral-B boxes, extra attention has been paid to try and appeal to teenagers. Social vibe is probably the best way I can describe it, with emojis, #smartcoaching on the front and even ‘Xpress yourself’ on the side of the box. Smart the box is, I am more interested in what’s inside. Before I begin talking about the brush in more detail, I just want to make mention of a few things regarding the box contents. 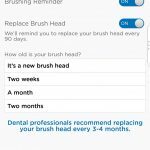 It is a CrossAction, Sensi UltraThin or a 3D White brush head that tends to be the standard brush head Oral-B include with an electric toothbrush. In this instance an Ortho brush head is included. This is designed specifically for braces with quite a unique bristle pattern. Personally I see why Oral-B have done this, because statistically it is the teenagers that have braces and are more likely to benefit from such. But I do in a way feel it is a bit of a generalisation of this demographic. To be fair it is a relatively cheap brush head that can’t be ignored if not required. Something I really do feel Oral-B have missed a trick with here is including a travel case. I speak from first hand experience, having worn braces in my teenage years that there were many times I needed to take my toothbrush with me and a travel case was a welcomed accessory. Brace wearers typically need to brush a third time in the day and this could be whilst as school or college and therefore the brush has to come with them. A case protects the brush in a bag, reducing the chance of damage or accidental activation. Perhaps I am overthinking it, but even if it added a few extra pounds to the price it would have been worth it. You can buy them as accessories, but it is just a little extra hassle to source and works out a bit more expensive. Would you agree with my way of thinking? Let me know in the comments. To the brush itself then and how it works. As I mentioned previously this Teen brush is just like the Oral-B Smart 4 4000, so there is a lot to like here, both technically and aesthetically. Oral-B have always done, in my mind, a pretty decent job when it comes to the look and feel of the brushes. They do not have quite the premium look and feel of some Sonicare models, but then again they are a bit more cost effective. The Teen comes in 2 colour options, black and white. In both instances, the handle is made from a gloss white plastic, finished with a soft touch rubber grip that runs down the front of the brush handle. To make this Teen model stand out there is a decal/pattern that extends over the vast majority of the grip. On the white rubber it is a black ‘Zebra like’ pattern whilst the black rubber grip has what I can only describe as a tribal pattern, in a silver/grey colour. The decal on the black grip does not contrast as much as on the white. I don’t dislike either and if you are an adult considering this as a cheaper alternative to the Smart 4 4000, then you may well agree with me. The rubber grip runs top to bottom on the front of the brush handle. There are a series of ridges around the power button that help hold and guide you to the controls of the brush. In the upper third of the brush handle in between the contoured grips is the power button that is white in colour with a grey/black power icon on it. The contrasting colour of the icon helps it stand out against all the White body. You don’t want a button that is too easily activated or too firm, thankfully that is not the case on the Oral-B Teen. It has a nice resistance when pressed. Not too soft that it can be accidentally activated, but not too firm it is difficult to press. Good even for those with limited dexterity in my opinion. Sitting a little below the power button, just before the decal kicks in, is a Bluetooth logo, giving an indication to the smart capabilities this brush has. The lower third of the brush handle has the Oral-B and Braun logo in grey/black as well as a battery and charging icon below them. 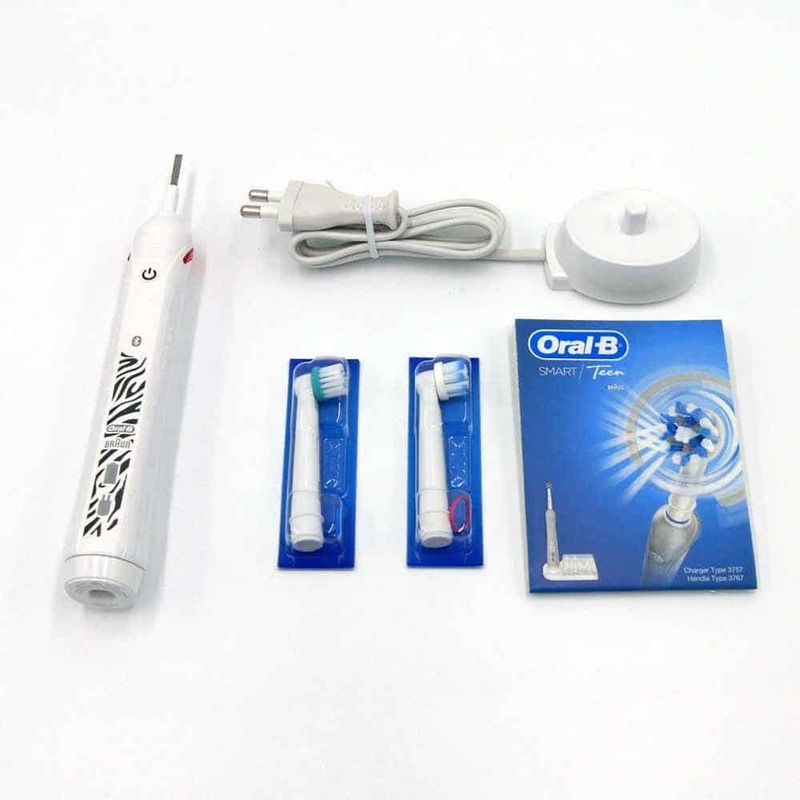 There are essentially 2 key parts to the electric toothbrush. The first is the handle that i have described so far, this has all the clever bits of technology in. The likelihood is that it would survive, but I strongly advise you avoid submerging the brush below water, for example in a bath or sink. A rinse is fine, but the brush does not need to sink to the bottom of a bowl of water. The second part is the detachable brush head, I will explain a lot more about this shortly. If you take a look at the very bottom of the brush handle, there is a recess, into which the pin on the charging stand connects to. A charging stand is provided. The brush does too stand upright without the stand. Are you familiar with a pressure sensor? If not, in this case it is a plastic panel that is a red/orange colour, it sweeps up over and down the neck of the handle. This means that the LED sat behind the panel lights up. You get a bright red light that you won’t fail to notice. 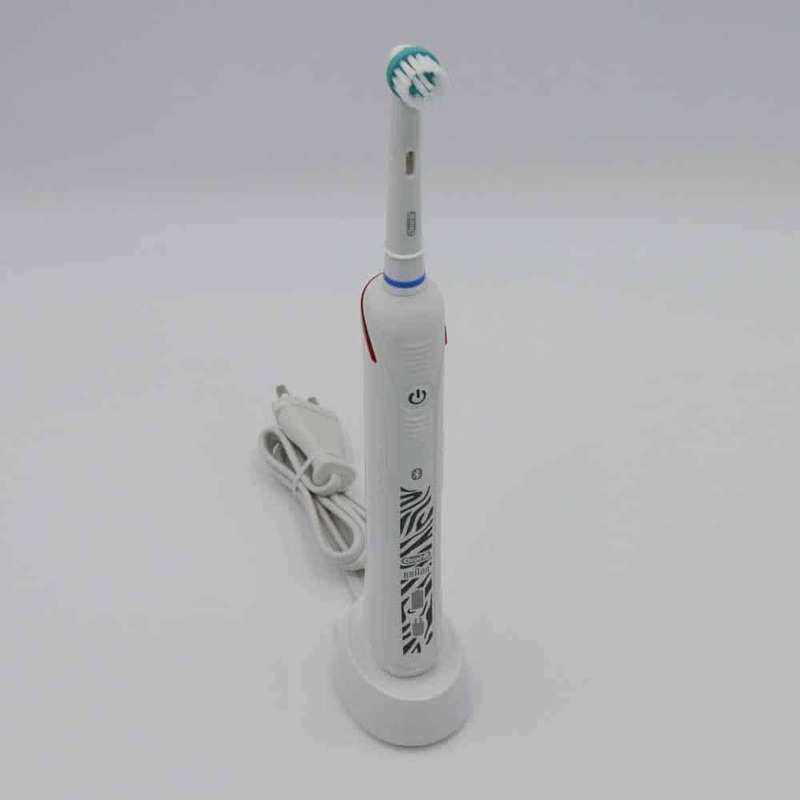 At the the same time as the LED pressure sensor illuminates, you should also notice that the speed of the brush head will decrease and the sound of the motor will change. This is nothing to worry about. It is programmed to do this, until such time as the pressure is relieved. You see, applying too much pressure when brushing is a big issue and it causes more damage than you might think. A brush need only skim the surface of the tooth and gums. So, the brush reduces the power to protect your teeth. Just relieve the pressure and the light will go out and the motor power up again. Just remember to let the bristles essentially glide across the tooth surfaces. Each of the 3 cleaning modes work slightly differently, with differing levels of oscillations, rotations and pulsations to achieve different cleaning effects on the teeth. 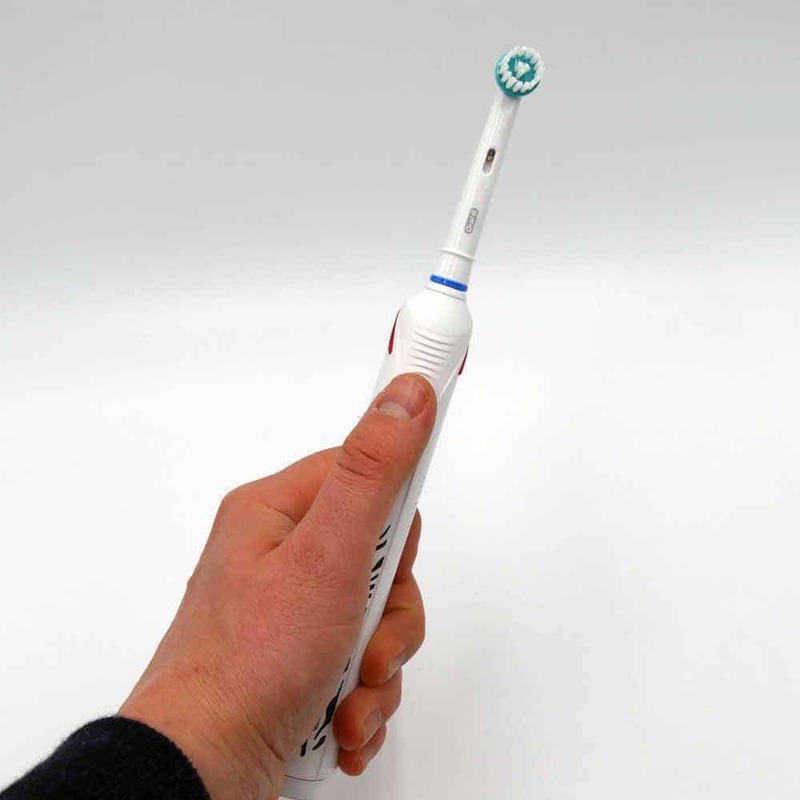 The provided Sensi UltraThin or the Ortho brush head can be used on any of the 3 cleaning modes, but as our Oral-B cleaning modes article explains certain heads are best used on certain cleaning modes. Press it a third time to activate Whitening mode. A fourth time will turn the brush off. This makes sense, but there are 2 issues in particular that I have with the way in which this has been configured. I suspect over time you will learn this, but wouldn’t some icons or LED’s be helpful to show the mode? The more premium Smart 6 and Genius range offer them. Ideally a way of selecting the mode prior to actually turning the brush on would be the solution. This is not available, not even on the flagship Genius 9000. Most Sonicare brushes allow you to do this though. Another small but significant thing to remember is; put the brush in your mouth before powering on and changing modes otherwise the toothpaste might go flying across the room. Buy the Genius 9000 and although you have to power the brush on to change the cleaning mode, if you have changed the mode, it will remember it. Next time you power the brush on, it will begin in that mode. The Oral-B Teen does not do this. I understand why though. 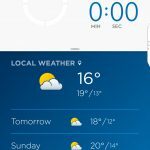 If it did, there is no way of showing what mode it is on, unless you make use of the app. When using the Bluetooth connectivity, the app will show the cleaning mode. I will explain the connectivity option in more detail shortly. 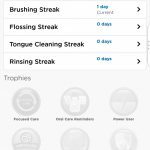 Despite the criticisms of the way in which the cleaning modes are presented, I do love the clean that an Oral-B brush offers. 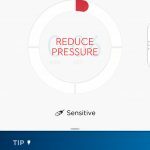 Studies have suggested Oral-B’s oscillating and rotating technology is superior, but there are studies too that side with Sonicare. It is a little harsher/aggressive feeling than a Sonicare or Colgate brush. Whilst this is not exactly the best way of rating a clean of the teeth, it really feels like it has done something. Even better would be a little LED display that showed the exact battery percentage (%). Or in the case of the Oral-B Teen, the app picked up the information. In the box with the Smart Teen you get 2 styles of brush head. These are the Sensi UltraThin and the Ortho head. The Ortho head is one of the more specialised brush head styles available, specifically engineered for braces. There is a range of more than 6 different styles of brush heads you could use on the Teen. They are all interchangeable, which means you can select your preferred head and use it with any of the cleaning modes. These heads work on all Oral-B electric toothbrush handles. Most cleaning modes on this brush run for 2 minutes. If you did not already know, this is the globally recommended brushing time. 2 minutes, twice a day. If you didn’t know this or are guilty of not brushing for as long as you should, the brush can help in 2 ways. The brush continues to run, unless you turn it off. Unlike other brands, this does not turn off automatically after the cleaning mode is complete. 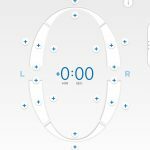 To take advantage of this, you need and Android or iOS smartphone and Bluetooth 4.0 on your phone. If you feel you won’t use it, you may want to consider if the Pro 2 2500 is for you. It is also worth knowing that the Bluetooth connectivity works only for one user. If you share the brush handle with a partner, this will mess up the data. If you and other family members all want to track with the app, you need your own brush handle. Here is another slight problem with the Oral-B Teen. 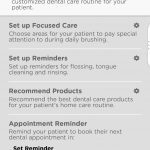 The lack of a place to hold and view the app when brushing. Oral-B rely on you holding your phone I guess. More premium models like the Smart 5 come with a smartphone stand included in the box. It gives a place to sit the phone and have it sat at the ideal viewing angle. 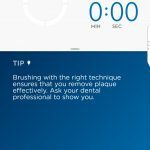 The idea being, launch the Oral-B app, site the phone in the stand and you can now see the timer and how well you are cleaning, plus all the useful advice. In the unlikely event something go wrong, there is as standard a 24 month warranty is provided with the Oral-B Teen.. This covers the battery too. Register the brush online and you get an extra 12 months at no extra cost, so 36 months or 3 years in total. In years gone by, the battery life in an Oral-B electric toothbrush was acceptable but really fell a little short of the competition. Thankfully in the last 18 months or so things have improved, mostly thanks to the adoption of Lithium-Ion batteries. This Teen brush has a rechargeable battery built inside. It is not user removable, but on a full charge will give what Oral-B claim as 2+ weeks battery life. What this means is you can generally get 16 days of use from the brush. That is 32 cleaning sessions of 2 minutes in length or 66 minutes of brushing time. Our hands on testing has achieved as much as 20 days (40 brushing sessions), but the power of the brush does decrease a little as the last remaining power is drained from the battery. 16 days is good, but Philips Sonicare still typically last longer with 3 weeks (21 days) being the average. To replenish the battery, sit the brush handle on the provided charging stand, connect it to the power and the battery icon will flash green. Made of plastic, the charging stand has a prong on the top, this aligns with the recess on the base of the Oral-B Teen. This charger has a power cable complete with a 2 pin plug that will typically connect to a power socket found in a UK bathroom. This is not a European plug. The charging stand is rated for 220-240v. With the use of a 2 pin to 3 pin adapter, it can be connected and recharged from a standard 3 pin socket. In fact, the circuit in the brush actually cuts off charge when complete so as not to overcharge the battery. £79.99 is the suggested selling price for this electric toothbrush. Here in the UK (and many other countries around the world) the reality is that rarely do brushes actually sell at the recommended retail price. The UK’s oral health care space is particularly discount-heavy, with many brushes selling for 40, 50 or even 60% below this price. This Oral-B Teen is no exception. Typically it sells for approximately 50% less at £40, but retailers have sold it for as low as £30 — we have included a live price comparison here. Prices do vary depending on when and where you buy it, but from what I have seen there is a little less volatility in the price of this model in comparison to some others. If I were to generalise, the cheapest prices tend to be available online rather than in stores found on the high street, but that probably comes as little surprise to you. I paid just £35 to acquire it. Given the fact that this has Bluetooth technology built in and therefore is a ‘smart electric toothbrush’ at the time of review it is to my knowledge the cheapest and best value brush of its type from a leading brand. For those who really want a Bluetooth enabled brush, this is a bit of a steal really considering what you get. 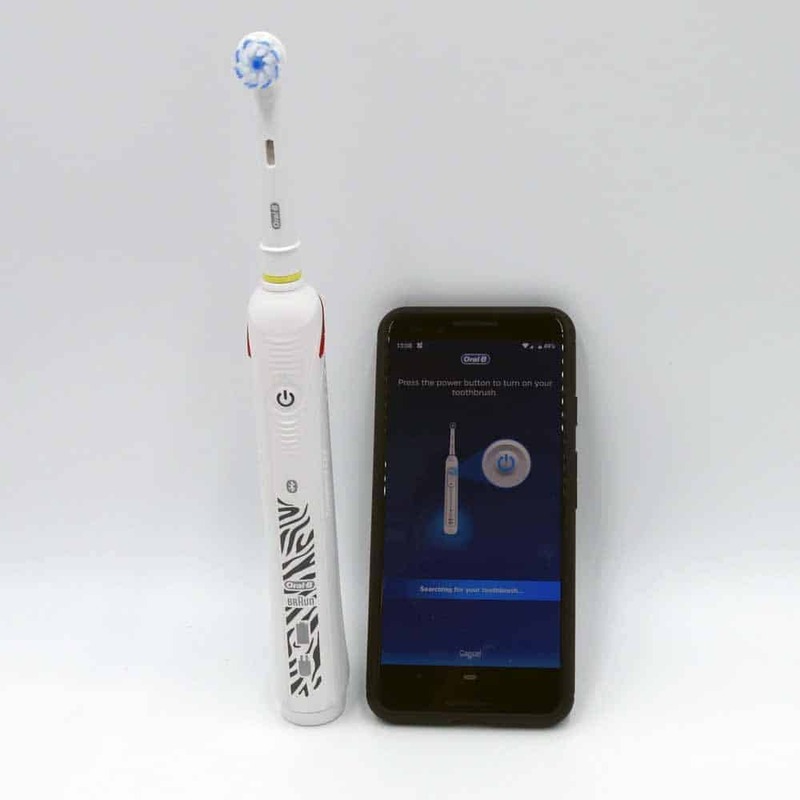 It pains me a little that Oral-B sell the Smart 4 4000, which is technically the same toothbrush for on average £20 more, but it actually has a retail price of £120! Here at Electric Teeth, to get a good idea of the value, we work out an approximate cost to own the brush over a 3 year period. This gives us a bit of a benchmark as to the value of the Oral-B Teen in comparison to other toothbrushes available today. In addition to the outright purchase of the brush handle at £40 on average, the cost of replacement brush heads must be factored in. Required every 3 months, replacement heads can be purchased in packs of 4 and are priced on average between £11 and £14. One of the benefits with the Teen is that you do get 2 brush heads included. 1 is the Ortho style head which might not be suitable for you, so some value may well be lost here. 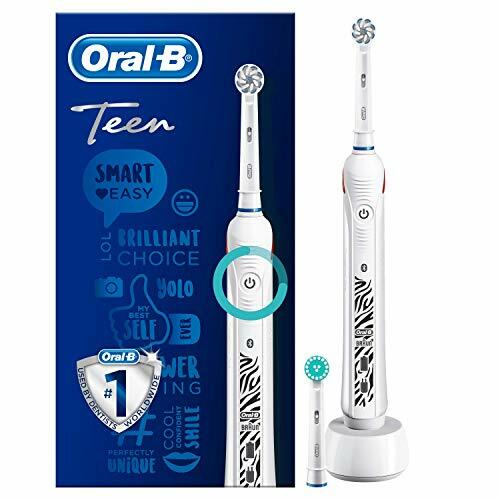 Using the average cost (based on one user) and ownership over 3 years (the same as the warranty period (if registered online)), the Oral-B Teen will cost £70 or 6p per day to own. The Smart 4 4000 that I have mentioned would cost £90 or 8p per day. You can bring the cost down further if you were to share the brush handle (not the brush heads) with other members of your household. Generally available with 50% or more off RRP; circa £40. The Oral-B Teen comes as standard with a 2 year manufacturer’s warranty. Take just a couple of minutes to register the brush online and you can claim an additional third year at no extra cost. 3-5 years tends to be the average life of an electric toothbrush. Many do last a lot longer, but with electrical circuits and a rechargeable battery built in, there is always a little risk of failure. Of course it would be great if they lasted forever, but sadly, this is not the case. With a long history of electric toothbrush production Oral-B know how to build a brush that should remain reliable for a good few years. Hands on with the Teen has given me no reason to doubt this reputation and I have no concerns over the reliability of this toothbrush. Is the Oral-B Teen an oscillating brush? No, it has 3 cleaning modes Daily Clean, Sensitive and Whitening.. For more cleaning modes consider the Smart 5 5000 that offers 5 modes or the Genius 9000 which offers the maximum 6 modes. The brush heads that are supplied with this brush are 1 x Sensi UltraThin and 1 x Ortho brush head. You can change the head with any others on offer from Oral-B. There are many that work with the brush handle. There are 6 main brush head options that include Cross Action, Floss Action, 3D White, Sensi UltraThin, Precision Clean and TriZone. Ortho and interspace are 2 additional, more specialised heads you can choose. Does the Oral-B Teen have a pressure sensor? Does the Oral-B Teen have Bluetooth? Does the Teen come with a warranty & how long is it? 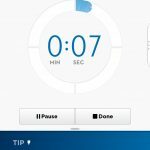 Does the Oral-B Teen have a built in timer? 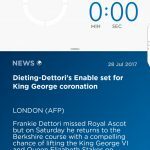 Officially Oral-B claim 2+ weeks of battery life. We achieved 80 minutes of brushing time, that is equivalent to 20 days brushing, based on 2 cleans per day. 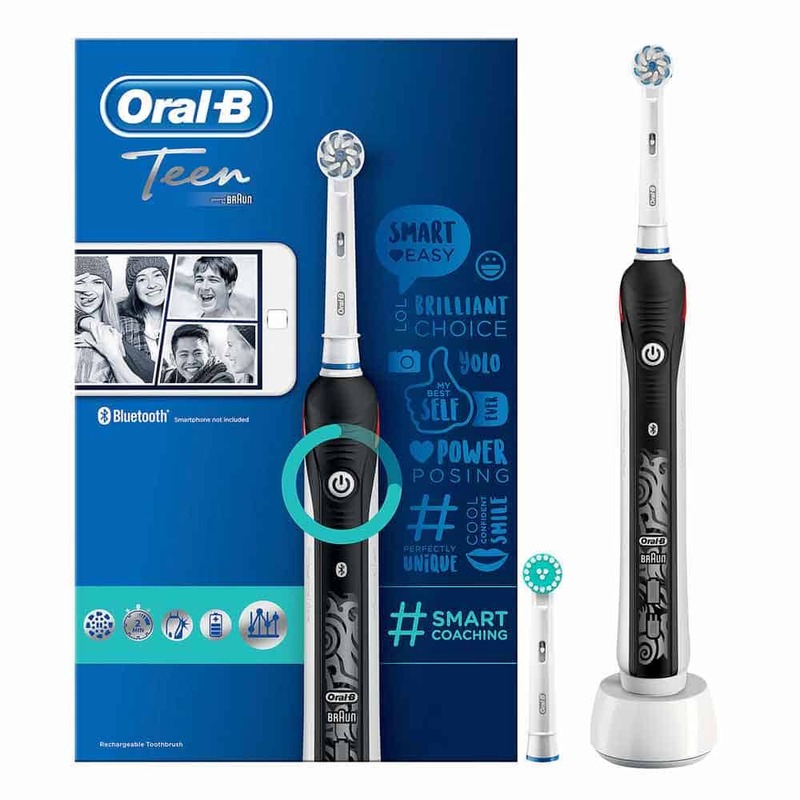 No, the Oral-B Teen does not have a wireless smart guide included. Yes, a charging station is included with the brush.. The charger is a 2 pin/prong charger designed to be used on voltages of 220-240 volts. It is a 2 pin charger suitable for connecting to shaver sockets found in many bathrooms in the UK.. If you do not have a shaver socket, you can purchase an adapter that will allow the charger to be connected to a standard 3 pin UK mains socket. Can I use the Oral-B Teen in the shower? Yes. The Oral-B Teen is water resistant so if you choose you can use it in the shower. Avoid submerging it in water. 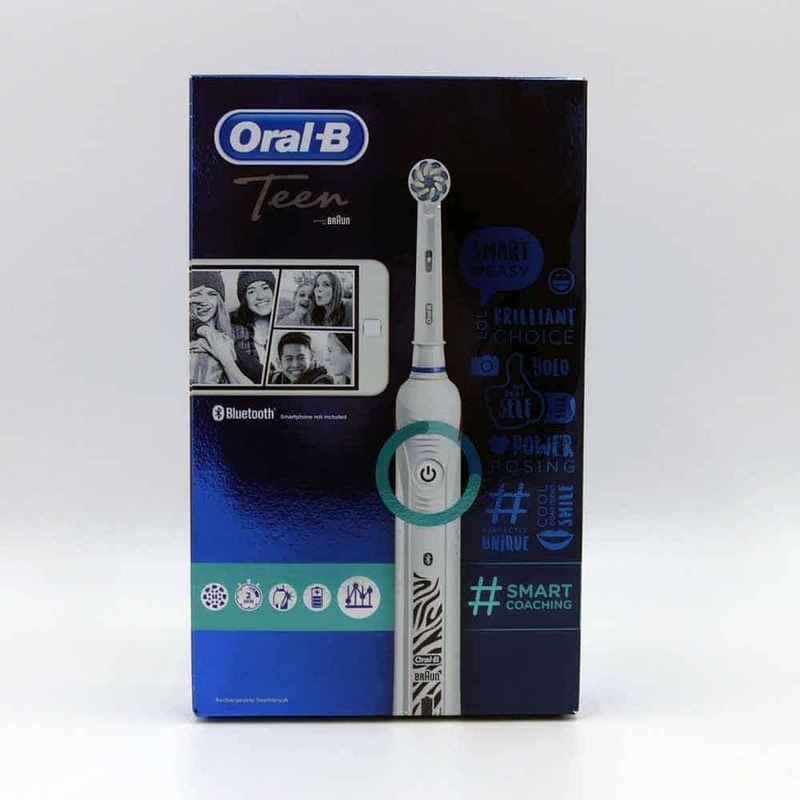 Do you own or have you used the Oral-B Teen electric toothbrush? Can you tell me what’s the amount of pulsations in each mode.